It wasn't always home. For all my life I lived a 30 mile radius from San Francisco. Never wanting to leave - but finding it harder and harder each year to afford the standard of living I was raised in and having always to do without - to just afford the rent! Then an opportunity came to us, and we jumped at it. That was in 2008 and we have not looked back. I love it here. It was a culture shock to say the least. Coming from an upwardly mobile area, to a rural part of Northern, Northern California. It was like moving to another state. 350+ miles north from where I was raised. For some areas in the country, that is like moving a state or two away. Most of the country, when they think of California, they always think of the stereo-typical California: Hollywood, Disneyland and Beaches. Many, have no idea how far San Francisco is from LA.They are shocked it snows in California. They think just because it's sunny, that it is HOT all the time, we don't have deciduous trees and four seasons. Whiskeytown Lake, is a reservoir in Shasta County in northwestern California, United States, about 8 miles west of Redding. 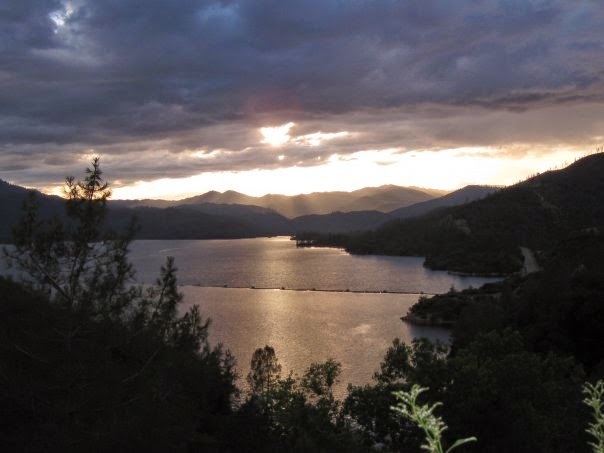 The lake is in the Whiskeytown Unit of the Whiskeytown-Shasta-Trinity National Recreation Area.